Toyota is preparing a new Fortuner is equipped with a Variable Geometry Turbo (VGT). The move to hit the SUV market country. Toyota Fortuner steps to bring the VGT, seeing Fortuner not compete with the Mitsubishi Pajero Sport, Pajero Dakar especially the presence of which is equipped with a Variable Geometry Turbo (VGT) to make the car power increase to 178 PS at 4,000 rpm and make further behind Toyota Fortuner. Toyota Fortuner as disclosed Iwan is a Sport Utility Vehicle (SUV), Toyota's flagship in Indonesia, but lately it is less satisfactory because the technology is overshadowed by the Pajero Dakar VGT. Toyota Fortuner diesel currently equipped with 2494 cc engine 4Cyl IL, 16 Valve DOHC, D-4D is capable of producing 102 ps at 3,600 rpm and torque of 26.5 kgm at 1600-2400 rpm. 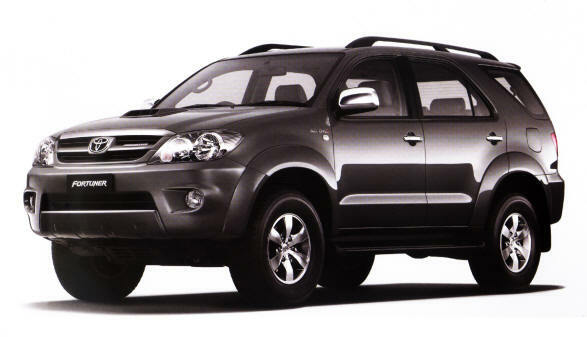 Toyota sold at a price of USD 372.5 million - USD 407.4 million (current prices Auto2000 - August 2011).